Home/Fibromyalgia / Chronic Fatigue Syndrome/What Is Chronic Fatigue Syndrome? Chronic fatigue syndrome (CFS) can be a tricky condition to get a diagnosis for, and it is even more difficult to find effective chronic fatigue syndrome treatment. We’re going to break down the answer to the question posed in our title into four categories: symptoms, causes, risk factors, and how to find natural relief. Read on to learn more about chronic fatigue syndrome. One of the issues that complicates getting a diagnosis of CFS is that chronic fatigue syndrome symptoms are many and varied. You may get some or all of these symptoms, but even that doesn’t comprise a definitive chronic fatigue syndrome test. Thus, doctors spend a lot of time ruling out other conditions that cause similar symptoms. Some people may even get a different diagnosis (i.e., fibromyalgia) simply depending on the doctor they see. Fatigue – This is the primary symptom of CFS. It is more than just being tired because you worked hard or didn’t get enough sleep. This is a debilitating exhaustion that grows worse with exertion and isn’t corrected by sleep. Brain fog – Cognitive symptoms that accompany CFS include concentration and memory problems. Sore throat – A CFS patients may suffer from chronic cases of sore throat. Unexplained joint or muscle pain – Pain occurs in the muscles and joints, but not because of injury or overuse. Unrefreshing sleep – Even a good night’s rest does not automatically relieve the fatigue. Exhaustion that lasts over 24 after exertion – This includes both physical and mental exertion. Whether you spend an hour at the gym or stressing out about making wedding plans, you’re going to be wiped out for the next day and maybe a few after that. Headaches – Chronic headaches often become an issue for chronic fatigue sufferers. Enlarged lymph nodes – The lymph nodes in the neck and armpits are ones to watch in particular. 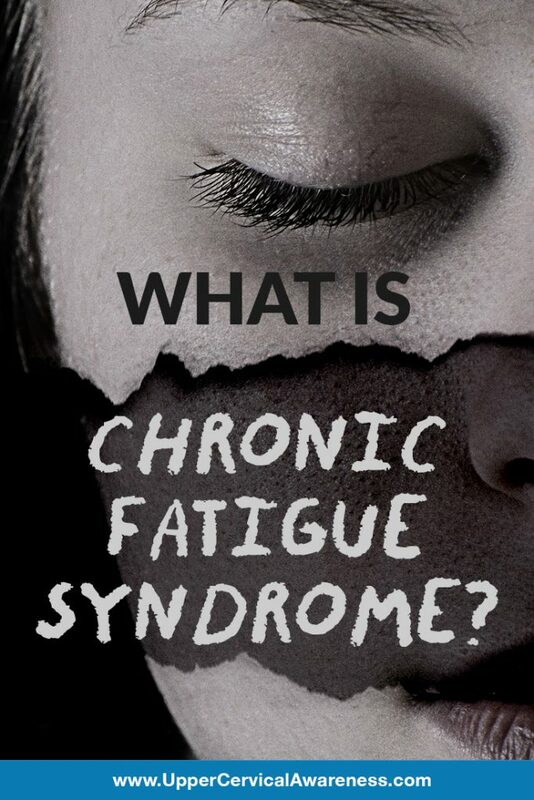 It is still unknown as to why people develop chronic fatigue syndrome. However, there are certain factors that seem to predate the onset of the condition. Whether these things cause the condition or trigger the initial flare-up remains a mystery. But here are a few possibilities. Trauma – Researchers are considering links between both physical and emotional trauma and CFS. In fact, some researchers believe we should as far back as a person’s childhood to find the cause of this condition. Viral Infection – While no conclusive link exists, many people seem to see the onset of CFS following a viral infection. Some of the viruses under scrutiny include Epstein-Batt and human herpes virus 6. Immune System Deficiency – Researchers are unsure whether an impaired immune system is a symptom of chronic fatigue syndrome or an underlying cause. So far, it is inconclusive whether people with CFS had a compromised immune system beforehand or if CFS caused the immune system issues. Hormonal Imbalance – A frequent thread that ties many CFS patients together is an abnormal level of hormones produced by the adrenal glands, pituitary gland, and hypothalamus. Gender – The vast majority of CFS patients are women. However, the discrepancy may be due to women being more likely to follow through and get a diagnosis. Age – While the onset can occur at any time in a person’s life, the most frequent age range is when a person is in his or her 40s or 50s. Stress – A person who struggles to keep stress levels in check is more likely to deal with chronic fatigue syndrome. Stress can lead to flare-ups of the condition, and emotional trauma may be linked to the cause. The only thing that seems to be tougher than getting a diagnosis of CFS is finding satisfactory care. Most medications that are prescribed are just used to deal with individual symptoms, and they have limited benefits in that regard. In fact, the side effects often outweigh the benefits. As a result, many have turned to natural sources of relief. Do any exist? A Regular Sleep Schedule – While sleep doesn’t relieve the fatigue, lack of sleep can add to it. Therefore, sleeping eight hours per night is vital for feeling your best. Light Exercise – You don’t want to exert yourself too hard and end up down for a few days, but a little exercise each day can reduce joint and muscle pain. Immune Boost – Using supplements to boost your immune system may be important. Remember that immune system problems are common for CFS patients. Stress Management – Since stress can cause symptom flare-ups, it becomes important to have good ways to cope with stress. Whether it is a good friend you can confide in or a relaxing hobby, stress management may help you to reduce the frequency of flare-ups. We’d also like to introduce you to upper cervical chiropractic care. Upper cervical is a niche in the chiropractic field that focuses on the top two bones of the neck. These bones play a vital role in central nervous system function as well as proper blood flow to the brain. As a result, patients with chronic conditions such as chronic fatigue and fibromyalgia have seen benefits from care. If you are suffering from chronic fatigue syndrome, especially if you have a history of head or neck trauma, we encourage you to give upper cervical chiropractic a try. Schedule a consultation with a local practitioner to learn more. Dr. Breuwet2019-04-17T18:00:10+00:00January 7th, 2018|Fibromyalgia / Chronic Fatigue Syndrome|Comments Off on What Is Chronic Fatigue Syndrome?